Home / Health Insurance Company Reviews / Swiss Re Life & Health America Inc. Incorporated in 1863, Swiss Re Life & Health America (Swiss Re) is a stock company. It focuses on large and intricate reinsurance transactions with their clients. They also work on pension funds of individual clients, public sector clients and corporate clients. Swiss Re does not offer health insurance, but does offer life insurance and reinsurance. To find companies that do offer health insurance, type in your zip code and compare different health insurance quotes to find the one that meets your individual wants and needs. Focusing on extreme scenarios, Swiss Re enables companies to take risks and in turn, they developed enterprises that successfully progress in today’s world. Its assets include $12,775,209,784 capital, with a net surplus of $1,784,034,439 and capital of $4,000,000. Swiss Re started its company in 1863 as a Fire and Casualty Insurance company in Switzerland because of the great fire of Glarus. As the company grew, it added in new programs. In 1875 a subsidiary company called Prudentia joined and eventually merged (1934) with Swiss Re. Prudentia focused on reinsurance and coinsurance. 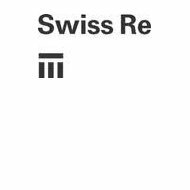 Swiss Re set up a U.S. branch in 1910. The following year they set up shop in Latin America. In 1918, the expansion continued and in order to keep legal provisions intact, they set up a secondary company named General Re in 1924. By 1923, Swiss Re has shares in 31 insurance companies with most of them being direct insurers, and is present in 11 countries. Swiss Re founded the North American Reassurance Company, which is the first American reinsurance company to exclusively write life business. Swiss Re assumes a leading position in the insurance business amongst its competitors. Swiss Re is one of the leading providers of reinsurance to life insurance companies nationwide. They have very specific knowledge of morbidity and mortality trends. Supporting clients with sustainable solutions, they also have their own index of life and health books of business they use for their own uses. Swiss Re offers individual reinsurance and corporate reinsurance to their clients. They are experts in both national and local business practices in property and casualty. With this, they are able to provide clients with transfer solutions in all aspects of business. Swiss Re also focuses on asset management. This division sets the company’s investment strategy and makes sure their assets match reinsurance liabilities and generate the best investment returns. According to A.M. Best, Swiss Re has a financial strength rating of A which is “Excellent.” Their outlook is “Positive” and the effective date of this rating was recent, December 15, 2010. For their credit rating, A.M. Best rated them with an A+ in long-term credit rating with a “Positive” outlook. With an A rating, Swiss Re is near the top of A.M. Best’s rating list. Ratings for A.M. Best can fall anywhere between A++ to F, A++ is considered “Superior” while F is considered “Liquidation.” Any rating between an A++ and a B+ is considered “Secure” in terms of financial and credit stability. To take a closer look at these health insurance rates enter your zip code. You can compare the rates of the companies listed above as well as other health insurance companies. XL Health Insurance America Inc.
Health Insurance Company of America Inc.
S.USA Health Insurance Company Inc.